I've heard that Megatronus was found in the game files recently, so you never know, it could be the ROTF version seeing as Hasbro don't really call Megatronus "The Fallen" any more. Kabam! Studios have reached out to us to let us know that Cyclonus has arrived in their Transformers: Forged to Fight mobile game! He is modelled on his recent toy as released in the Generations Combiner Wars line. Attack Rating by 22~30% for 6 seconds. 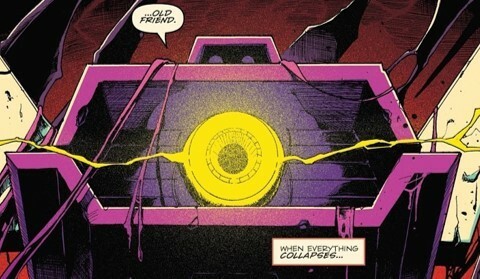 - When Cyclonus gains Dark Energy or completes a full Melee Combo with Dark Energy active, his Dark Field pulses. - The Dark Field inflicts Dark Burn, dealing 20% of Attack as instant Energy Damage and has a 60~76% chance to Nullify an enemy buff. If the opponent is Unstoppable this chance increases to 100%. - If an opponent with an Unstoppable buff Dashes toward Cyclonus, he instantly gains Dark Energy, Nullifies the Unstoppable buff, and inflicts Stun for 1.5 seconds. - After being struck 5 times by Melee Attacks, Cyclonus gains a 18~28% Physical Resistance Buff for 7~9 seconds. - After landing 6 Ranged Attacks, Cyclonus gains a Ranged Bonus, increasing damage from Ranged Attacks by 15~25% and Projectile Speed for 5~7 seconds. - After landing 10 Melee Attacks, Cyclonus gains a Melee Bonus, increasing damage from Melee Attacks by 15~25% for 5~7 seconds. - Dark Burns inflicted by the Dark Field deal 20~120% more damage. - A blade, honed and deadly as its wielder. - A blast of cosmic proportions. - 100% chance the last hit of this attack is Unblockable. - Cyclonus takes a precisely calculated trip through the center of his opponent. - Cyclonus Gains Dark Energy and begins to automatically pulse the Dark Field for 10 seconds. - All Decepticon Special Attacks gain +2~15% Special Attack Damage and +2~15% Critical Damage. - Motormaster’s Unstoppable will become a disadvantage when fighting against Cyclonus and his Dark Field. - Cyclonus’ sword will pierce even the toughest armor, stopping the Autobot leader from making his epic last stand. 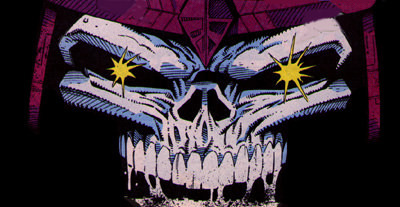 - The master of chaos, Galvatron, will be able to deal most of his damage at range, avoiding the Dark Field. It is also important to note that Galvatron’s Unstoppable cannot be Nullified. - Shockwave can ensure that Cyclonus never reaches a bar of power to gain his Dark Energy. 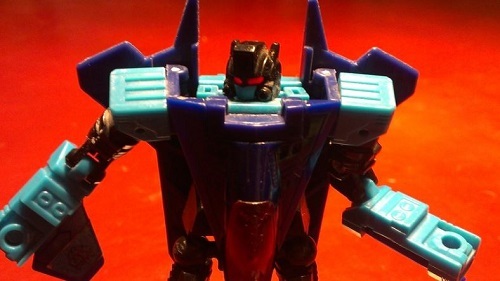 - Robot Resources will push Cyclonus to gain Dark Energy faster. - Not taking damage from Cyclonus will be a rare occurrence, add another constant tick of damage and watch the opponent wilt. Will you be using Cyclonus? Let us know in the comments and stay tuned to Seibertron for all the latest news and reviews. Love that the promo pic is basically a thumbnail for a Thew video. Also, nullifying Unstoppable is a good deal, but do you really run into it outside of Demo bots, who Cyclonus is weak to anyhow? Tantrum's the only non-Demo bot I can think of off the top of my head who uses it regularly. Motto: "Never give up or lose hope." -Crossfire- wrote: Love that the promo pic is basically a thumbnail for a Thew video. MotorMaster uses it more than Tantrum. Cyclonus seems great against MotorMaster. If you don't mind me mentioning, I have a video of them fighting. 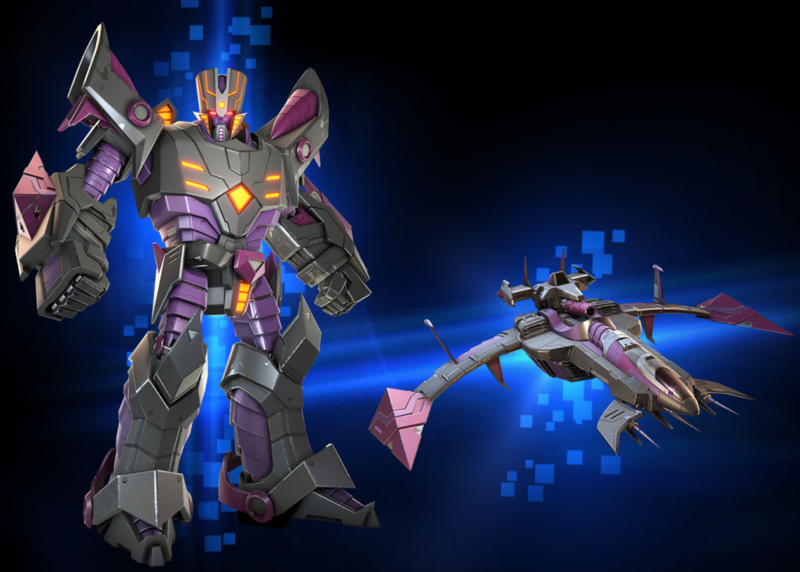 Kabam studios has announced the newest member of their Forged to Fight crew is ready to join the battle: Megatronus! This version of Megatron is based on his Machinima Power of the Primes body, and features a new never-before-seen Jet mode. Check out the intel report below. So we have a Dreawave character loosely based off/an evil counterpart to the Last Autobot who ended up the mthical predecessor to Decepticons and gained an egyptian theme from a Live Action movie now having a Machinima based design...with the almode of Movie Megatron. Anyone else really amused and equally weirded out when he started off as this? At this point is he even still technically 'The Fallen'? Because I have the impression Hasbro tried to (and in a way, suceeded) in erasing the original conception first by hijacking the name and history of the character before giving his role in the franchise to something of their own making. 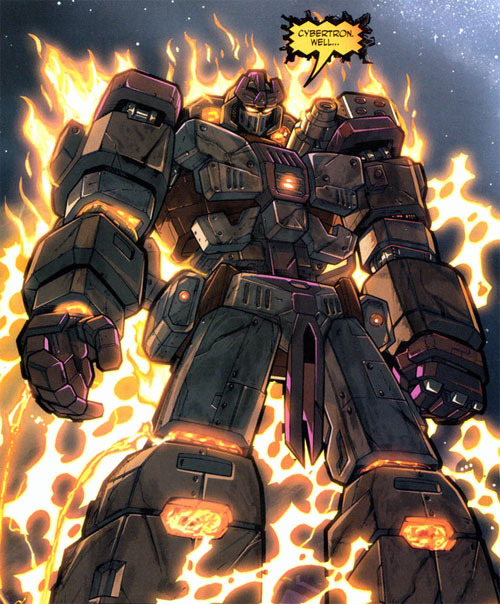 At this point, Megatronus and The Fallen may as well be distinct entities within the franchise. D-Maximal_Primal wrote: Kabam studios has announced the newest member of their Forged to Fight crew is ready to join the battle: Megatronus! This version of Megatron is based on his Machinima Power of the Primes body, and features a new never-before-seen Jet mode. Check out the intel report below. "This version of Megatron is based on his Machinima Power of the Primes body, and features a new never-before-seen Jet mode." Just a minor correction to this description... he's not a version of Megatron. He's an entirely different character. Like it also states in his bio he is "One of the Thirteen Primes". 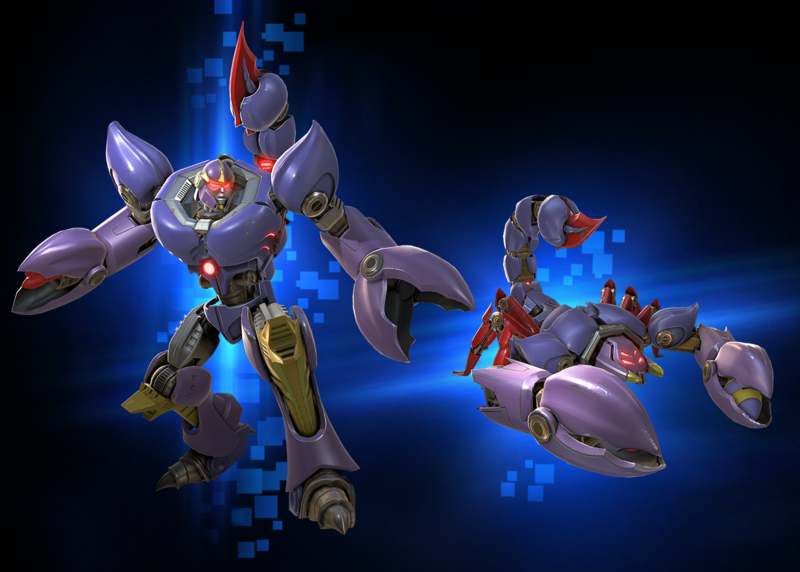 Thanks to a heads up from Seibertron user Nathaniel Prime, Kabam Studios has added a new fighter to their Transformers: Forged to Fight game, and it's none other than Beast Wars Scorponok. Here, he sports a new design, similar to the rest of the Beats Wars Forged to Fight crew. Check out the full Bot Intel Report here or below, and tell us your thoughts in the Pub forums below! Gains a Venom charge, granting +20% Attack per charge. If 3 or more Backfire charges expires simultaneously, the opponent takes Shock Damage equal to 500% of Attack Rating over 4 seconds. Scorponok’s robotic bee Dazes the opponent, causing their Basic Ranged Attacks to Miss 60% of the time and Ranged Special Attacks to Miss 100% of the time for 7~ 9 seconds. Scorponok’s robotic bee Dazes the opponent, causing their Basic Ranged Attacks to Miss 60% of the time and Ranged Special Attacks to Miss 100% of the time for 16~ 24 seconds. An oft-forgotten member of the (early) Beast Wars cast return! 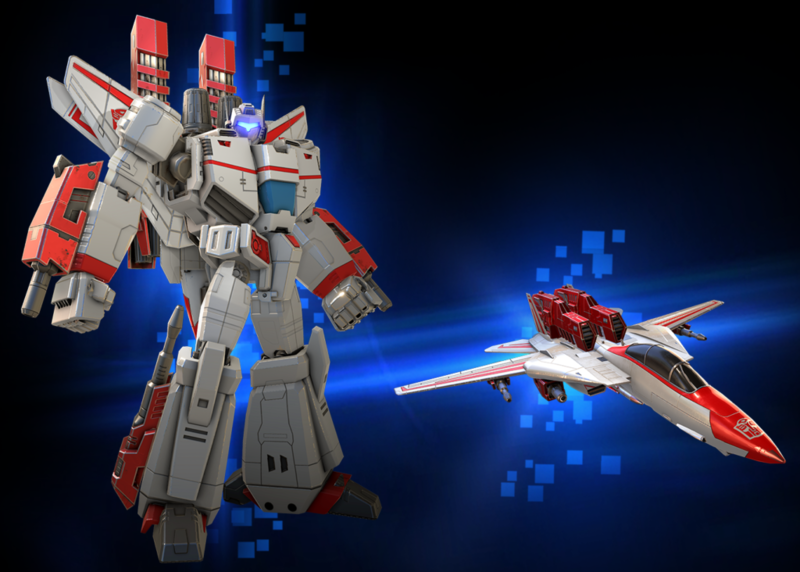 A new Autobot arrives in Kabam's Transformers: Forged to Fight mobile game, the Autobot Scientist, Jetfire! He's available now to bolster your team. ‎A scientist first and foremost, Jetfire was famous for his many exploits in outer space alongside his partner Starscream. With the galaxy now engulfed in war, Jetfire soon found Starscream had turned away from the pursuit of truth and joined the Decepticon ranks. Reluctantly taking up arms against his old friend, Jetfire eventually sided with the Autobots in their quest to protect all sentient life. * Well Timed Blocks against Light and Heavy Ranged Attacks activate the Parry Shield, Reflecting those attacks at 80~100% of their original damage. * Well Timed Blocks against Basic Melee Hits also activate the Parry Shield, granting +50% Block Proficiency. * 100% Chance jetfire consumes 1 Energy Charge to inflict Shock on the opponent, dealing 70~90% of Attack over 4 seconds. * If Jetfire has no Energy Charges when activating a Special Attack, he gains 1 Energy Charge. *Jetfire’s has a state-of-the-art Repair System diverts reserve energy to mend damaged components and suppress any active fires. * While Jetfire is under 75% Health, his Repair System is Online. While the Repair System is Online, Holding Block for 1 second(s) consumes an Energy Charge to Purify a Burn Debuff and Repair 2~6% of Health over 1 seconds. * Jetfire converts all Energy Charges into Ranged Bonus, each increasing Ranged Damage by 10~20% and Projectile Speed by 10% for 20 seconds. * If Jetfire converts 5 or more Energy Charges, this attack has a 100% chance to inflict Power Lock, stopping the opponent’s flow of Power for 8 seconds. * Jetfire converts all Energy Charges into Shield Buffs, each Reducing incoming damage by 7~8% for 20 seconds. * If Jetfire converts 5 or more Energy Charges, this attack has a 100% chance to inflict Repair Block, preventing the opponent from Repairing for 15 seconds. * Jetfire consumes all Energy Charges to inflict Shock for each Energy Charge consumed this way, each dealing 35~45% of Attack as energy damage over 4 seconds. * At the end of the attack, Jetfire Gains 3 Energy Charges. * Shockwave Repairs 2~6% Health over 2 seconds each time he gains 6 or more Energy Charges. * 25% Increase to Attack against Demolition Bots. Shockwave only gets this benefit if all bots on his team have this synergy. * Well Timed Blocks against Melee Attacks have +10% Block Proficiency and Drains Power equal to 2~5% of the opponents max Power. * Activating the Parry Shield against Basic Melee Attacks grants a 10~30% chance to Stun the opponent for 2 seconds. * While Dashing Back Starscream has a 100% chance to Evade Ranged Attacks. When This occurs Starscream gains a 10~30% Crit Damage buff for 6 seconds. * Megatron(RotF) – Jetfire will be able to inflict Repair Block, stopping this Tank Terror from Repairing at the end of the fight. * Ironhide– Reflecting Ranged Attacks and Purifying Burns, the master of Demolitions will find his skills entirely countered by this giant jet fighter. * Cheetor – Cheetor will evade many of Jetfire’s primary attacks while Blocking any chance the big flyer has to Repair. * Tantrum – Tantrum’s Frenzy will allow him to rid himself of annoying Shock debuffs while landing the occasional Unblockable hit through Jetfire’s Parry Shield. Strange Refractor – This mod will essentially grant him the ability he receives from his marquee Synergy, an ability that makes him a very scary defender. Tech Console – Imagine a world where Jetfire sits atop a Tech Console, his Shocks would be amplified, his Repairs would be amplified. This is probably one of the worse case encounters you could face when Raiding someone’s base. Will you be adding Jetfire? Let us know in the Energon Pub and stay tuned to Seibertron for all the latest news and reviews. We have recieved some news from Hasbro's PR team about an upcoming event in Kabam's Transformers: Forged to Fight game. So my son has asked to download this game. I thought it was just a fighting game. Apparently more. Any pointers? is gold scarce? should i be using the it to level 1 star bots? or wait for 3 and up? I know 1* and 2* star bots in earth wars dont even bother. but seems like upgrading goes hand in hand with gold? what should I save for later on? 3,785 pages were recently viewed by 533 unique visitors. This page was viewed 1 times on Thursday, April 18th 2019 5:18am CDT. © 2019 Seibertron, Inc. DBA Seibertron.com. All Rights Reserved. Established June 2000. Seibertron.com is owned by Ryan Yzquierdo.